Hey there! 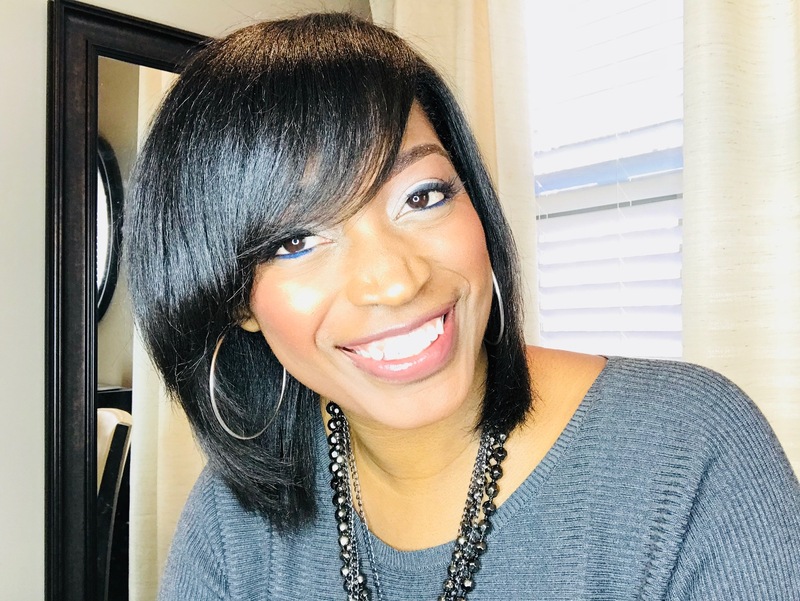 I'm LaToya Jones, a professional hairstylist, salon owner, and healthy hair specialist. I have been doing hair professionally for over thirteen years now and over half of my clientele comes to me to get a silk press. I can basically do a perfect silk press with my eyes closed! In fact, I developed a hair care line (called by L. Jones) specifically so I can have products to get the hair super soft and super moisturized, all which are super important when doing a silk press. 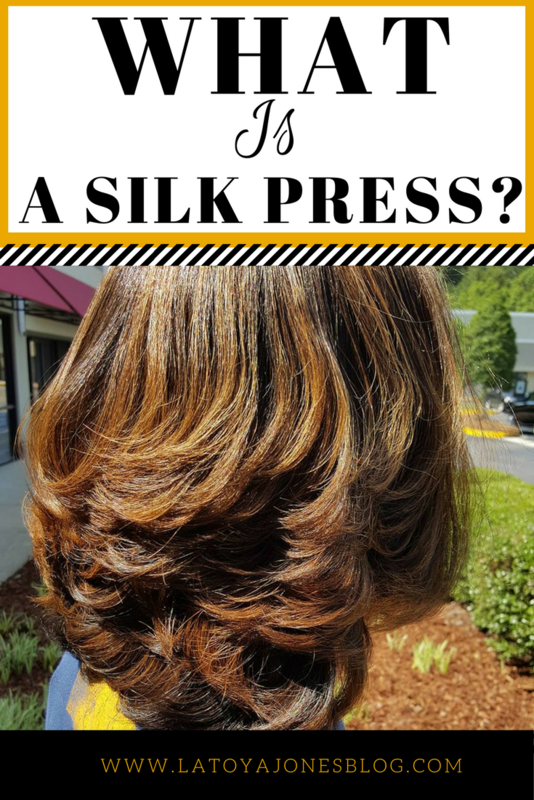 If you have stumbled across this post, more than likely you have heard of the term "silk press" and want to know more information about them, including what they are. Don' t worry, you are not alone! In fact, I get this question quite often from my salon clients (natural as well as relaxed) since this is a service that I offer and do rather frequently. So today I would like to explain to you exactly what a silk press is. A silk press is basically an upgraded version of a traditional press and curl. As with a press and curl, the hot comb is warmed up then used to press your hair to get it straight. Most of the time grease, or some greasy-like substance, is used to help get the hair straight. And while grease does help get the hair very straight, it also leaves the hair extremely heavy, with no body or movement, and often looking like it is stuck to the head. A silk press is a modern day press and curl that gives natural hair the look like it has been relaxed. It allows the natural hair to be very straight, shiny, silky, soft, and most importantly the hair has a lot of body and movement. It is for natural hair only because relaxed hair is already straight so the need to press it is not necessary (unless you stretch your relaxers and want to press your new growth to match your relaxed hair). A silk press on relaxed hair is just a flat iron. Unlike a traditional press and curl, a silk press does not use a hot comb at all. Instead, a very good flat iron (like this one) is used. Also, absolutely no grease is used with a silk press, although a light oil serum can be used to add shine without weighing the hair down. I use the high quality hair products (that I make myself!) from the by L. Jones line which is infused with a ton of moisturizers (moisture is extremely important when getting a silk press), like liquid silk, already in the products. Let's take a look at a client I had who received her first silk press in a very long time. 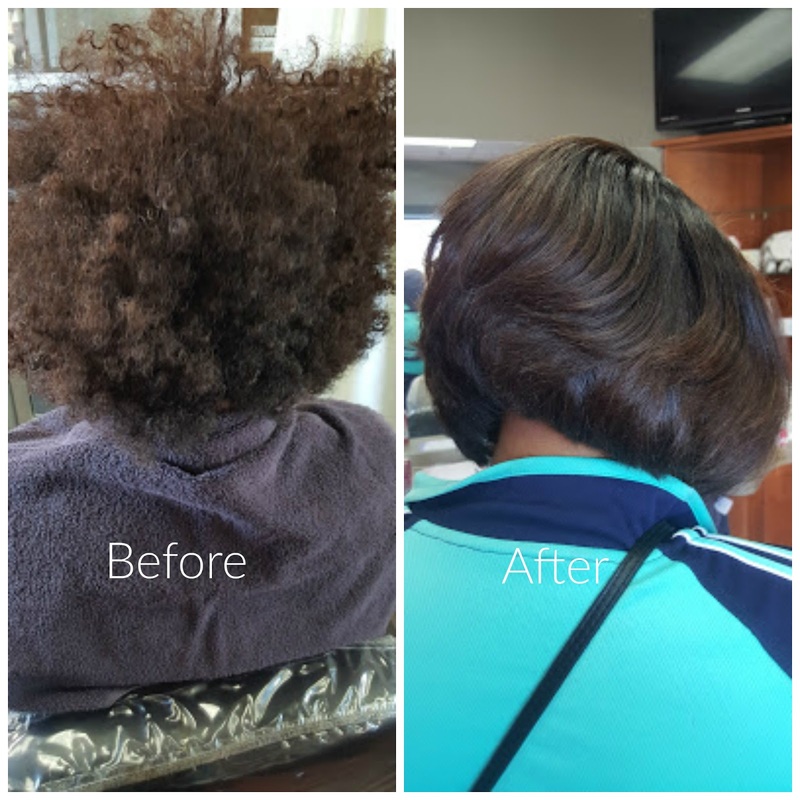 This client has been natural for years. The picture above is a before and after showing her original curl pattern (left) and how it looks once the silk press is complete (right). I love using the by L. Jones products to do silk presses (see why here) because the hair comes out looking like it was freshly relaxed although it is not. I started off with the Extreme Clean Clarifying Shampoo to remove all dirt, oil, and residue off of the hair making it squeaky clean and ready to receive the good moisture. Unlike many other clarifying shampoos, this one is sulfate free and paraben free so it will not strip the hair. Then I shampooed again with the Extreme Moisture Shampoo. This shampoo starts the process of adding the moisture back inside the hair. Click here to take my online silk press tutorial. If your hair always seems dry and like it is craving moisture, always use a moisturizing shampoo. Next I used the Replenishing Conditioner to add moisture (use the Intense Moisture Treatment instead if hair is extremely dry). After that, I generously applied the Leave-In Conditioner because it serves three purposes: it moisturizes, detangles, and acts as a heat protectant. I combed this through from the root to the ends of the hair. After that the hair was blown dry and flat ironed with a Toi by L. Jones (Primo) flat iron. I love, love, love this flat iron because it's titanium plates are the only ones on the market that go up to 480 degrees (only the thickest, most course hair will need this"! While that may sound extremely hot, it allows me to go through even the thickest, most course hair with only one pass. And anytime I do a silk press, the hair always reverts back to its original curl pattern without receiving any heat damage (see why here)! The rest of the pictures are also before and afters of other clients of mine. Even though the hair looks very straight it can and will revert back at the first sign of moisture in the hair. To remain straight, the hair must remain dry. There are two other things that you should NEVER do right after you get a silk press (see here) in order for it to last. The reason why I love the Toi flat iron is because it gets the hair this straight with only one pass. That is how I avoid heat damage on my clients' hair. To maintain this look, these ladies will wrap it every day with their silk scarf. It will last up to three weeks, although I do not recommend going beyond two weeks without shampooing the hair again. If any of these ladies notice a few fly aways, they can spray by L. Jones Miracle Potion no9 on it, as it works wonders for natural hair by controlling the frizz while giving it a boost of shine. The women in the pictures above came to my salon to get their silk press but you can also do it on yourself if you have the right products & hair tools. To get the perfect silk press in seven easy steps click here! Also, see the video below for the entire silk press process from start to finish (be sure to subscribe to my YouTube channel while you're looking at the video)! Can a silk press damage your hair? Yes it can. If done incorrectly, you can definitely get some heat damage. Click here for further explanation and to see how to avoid this. How long does a silk press last? That answer depends. Normally it will last 1-2 weeks. Click here for a full explanation. Can you get a silk press right after taking braids down? Yes, you absolutely can. There are a few things you should do first though. Click here to see more. Can I do my own silk press at home? How? Yes, you can definitely do your own silk press at home, no matter what hair type you have. Click here for more info. Is there anything I should NOT do to my silk press? Yes! 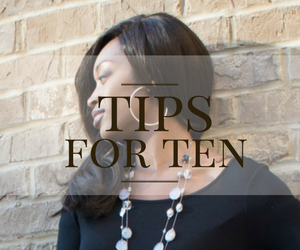 Click here to get my top 3 things you should never do when you have a silk press. Do you wish you could do your own silk press and make it look just like you went to a salon? Or maybe you have daughters and would like to learn how to silk press their hair so you don't have to to to the salon. Or, you might be a hairstylist who wants to sharpen your craft. If so, you will love my DIY Silk Press Masterclass! Click here for more info. 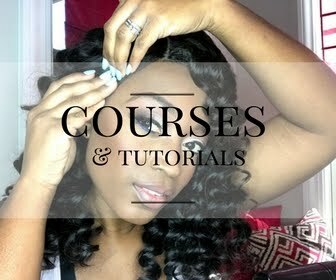 It is an online class that you can take right in the comfort of your own home at your own pace and I teach you all of the hairstylist tips and tricks to getting the perfect silk press. 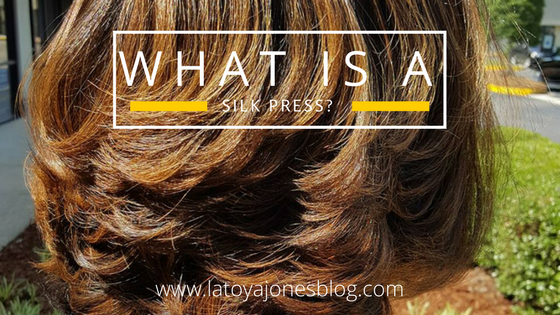 What is a silk press? 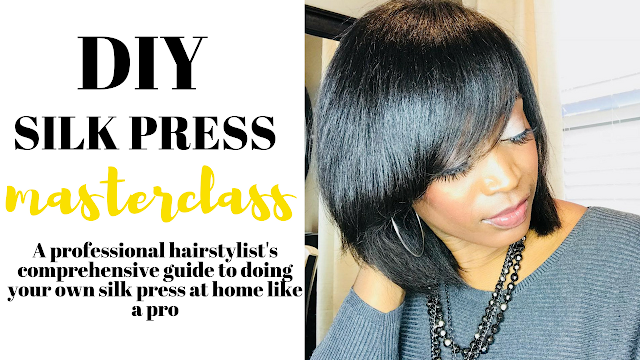 How to do your own professional looking silk press. And that's it! You now know everything about doing a silk press! Want a FREE PDF guide for doing your own silk press? Click here to have your own downloadable guide for how to do your own silk press like a pro! Want to learn all the PRO secrets and do your own silk press at home? Click here to take my online class which is a step by step tutorial on how to get a professional looking silk press on ANY hair type! As one stylist to another I want to thank you for sharing your knowledge with others God is going to bless you even more take care! Thank you for that information. Great post! Thank you so much for this informaiton! I am 1 year relaxer free and loving it! I am going to give this a try next time. I truly appreciate you taking the time to explain this! Thank you so much for sharing! What ceramic flat irons do you recommend? Thank you! I thought the only way you could wear natural hair was curly. Now, at least, I have an alternative. Amazing! Thank you for articulating that so well. You were a great help... blessings! Hello I'm a hairstylist. No, one day of heat is not going to hurt your hair. Excessive heat damages the hair meaning flat ironing it everyday or more than once a week. 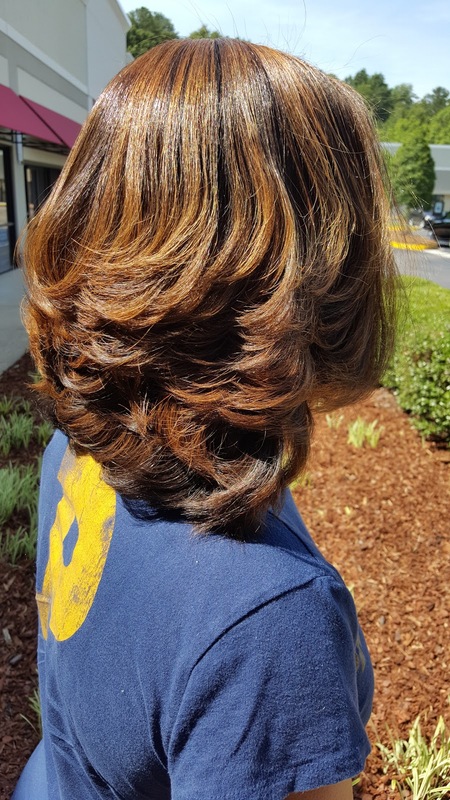 Can a silk press be done on short hair? Can a silk press withstand humidity? I'll be moving to Atlanta and I was wondering if I could get this done, and I also wanted to know if this will damage my curl pattern. This is my question too. I live in Houston, where its ALWAYS summertime. Will the silk press hold well against humidity? I've had it straightened before, and the humidity got me in less than 2 days. After having this done will your hair go back to its curl pattern? My hair dresser told me not to wash my hair for 3 days. I do not want keratin, I am new to pressing out my hair. Will I damage anything if I do wash it. I do miss my natural already. I so not want to change my curl pattern. This information is very helpful. As a woman with natural hair I would love to straighten it sometimes and now I know how!! Hey Mz. Jones whut presser are u using for ur method? No one says this is the curling iron best used for this type of treatment. Stylist will tell u whut chemicals to use but not whut wand. That's the most important part of the process. Im natural but like my hairto look straight all the time . will getting silk pressese every 6 to 8 weeks with deep conditioning in between ruin my natural hair..
No, just be sure the person you are going to is not using too much heat by cutting the flat iron up too high or by flat ironing several passes on the same section of hair. Where do I get the hair products? 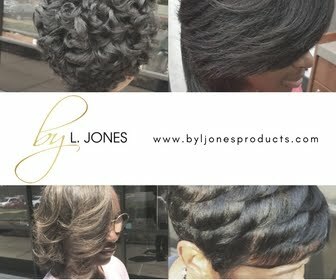 L. Jones products. Can I do the silk press myself? Heat does not equal damage. That is why it is important to let an experienced professional do it. You can love the hair you are born with and still change it up every now and then. Hi Tillie! I love my natural hair but, you still need to maintain it. My hair is very dry and breaks a lot. I notice when I press it, it helps it grow and maintains moisture better. I like to alter my look. Still love my curls. Thank you for sharing the silk press process with me, but can you tell me if I can do a Japanese Hair Straightening on my hair at home and what products will I need to do it? I live in Las Vegas, NV and I don't know of any black hair salons that do it. Ooooo who does silk press in Los Angeles? Excellent video. What would you suggest on maintaining that style until the next visit. Wrapping at night?? Hi!!! My question is this? ?...How do you work out with this type of hair style? Excellent video. What process would you suggest to maintain this style until the next visit. Would you wrap it at night? Hi, can these silk hair products can be used on relaxed hair as well? Fellow stylist here and I enjoyed this blog and video. Good information! Do you have any advice for thinning hair? I am letting my relaxer grow out but part of my hair is, for lack of better terms, a lot less straight! At some point in time, I would like to get a silk press. Currently I still my hair and get under a bonnet dryer. That does good for a couple of hours! The back is gorgeous but the front and the edges are not what I desire! What can I do to straighten out the front of my hair and the", kitchen"? I'm in the same position as you ^"unknown" I just don't know what to do with the front of my hair the rest is okay but the front is terrible..I was thinking about fading it..because I don't want to put any relaze in it again(natural for 6 months now).reply if you found anything that has work for you.thanks in advance.